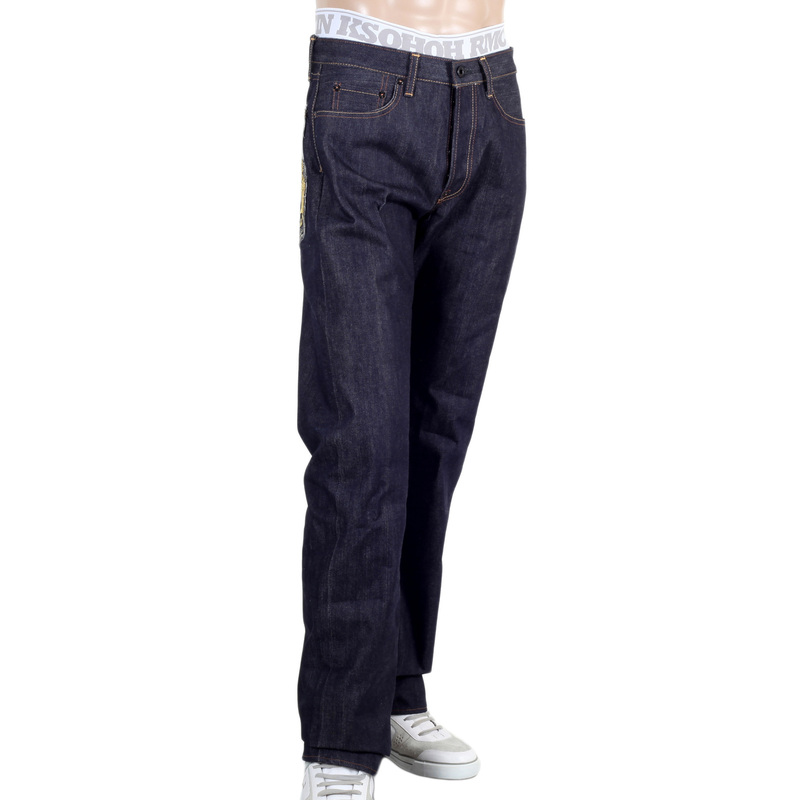 Spruce up your casual wardrobe with these selvedge denim from RMC. 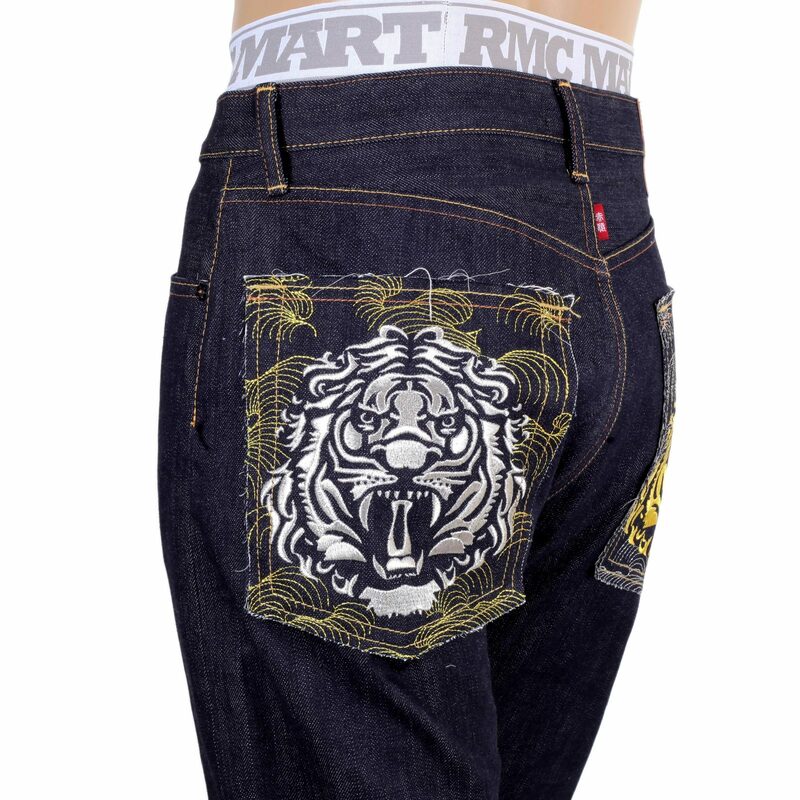 Styled with tsunami wave and tiger head embroidered back pockets, these 1001 model Japanese jeans are loved for its striking features in a slightly bolder offering. 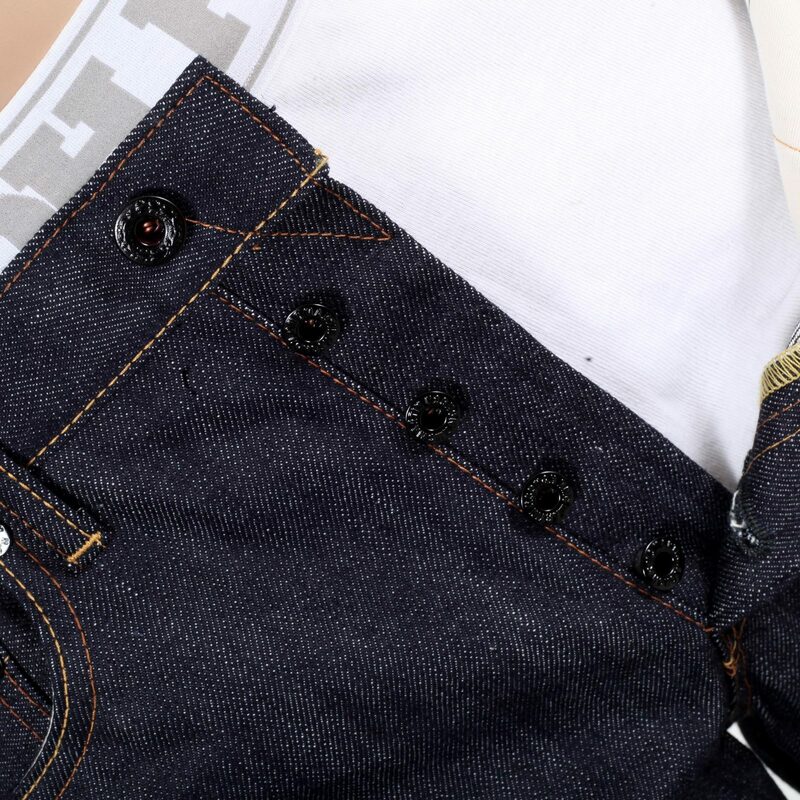 The five pocket construction and the embossed and painted fly buttons, waistband button, and rivets add a unique charm to these raw jeans designed by Martin Ksohoh. 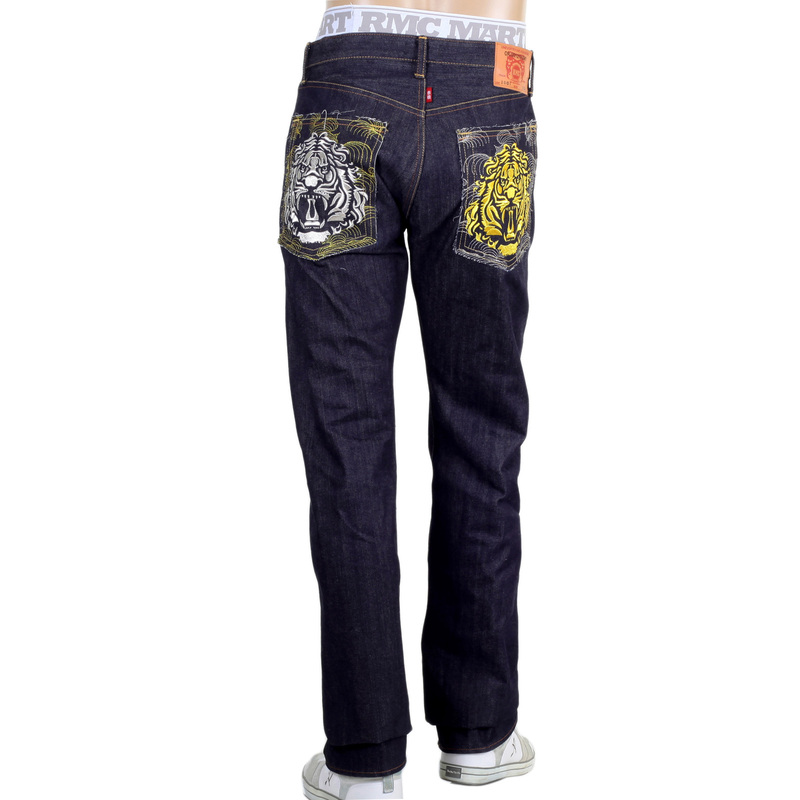 Branded with red tab on the back seam and leather patch on the waistband makes sure the world knows that you made this choice. 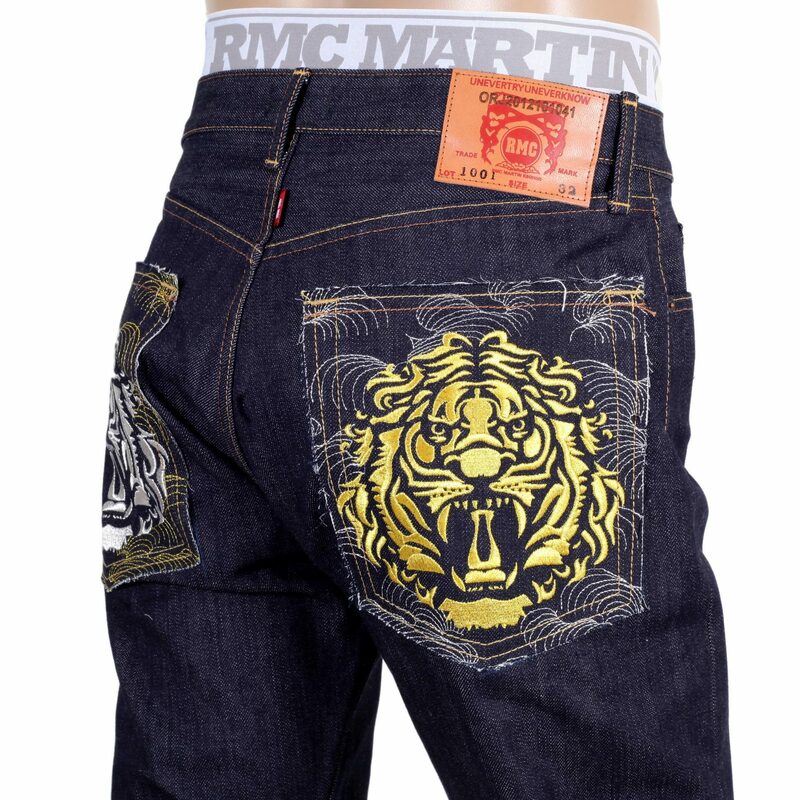 Pair these RMC Jeans with a crew neck tee and white sneakers to complete the look.